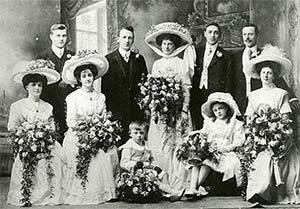 One of the strengths of the Hebden Bridge Local History Society over recent years has been the individual and group research projects undertaken. 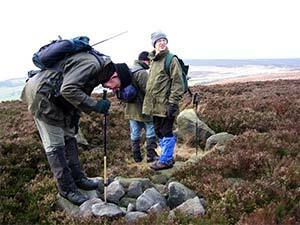 Ten years ago an ambitious course, ‘Agriculture and History in the Pennine Landscape’ offered participants the chance to ‘do local history yourself’. Ian Bailey led the group doing this research, but ill-health prevented him from giving this talk, so David Cant stood in for him. 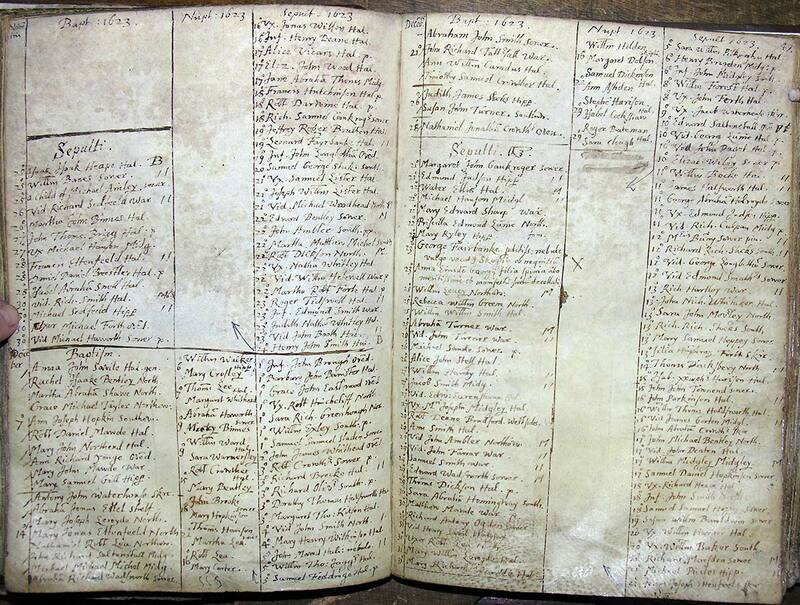 Parish records of baptisms, marriages and burials that were required by law from 1538 onwards provide the bulk of the data that the group collected. 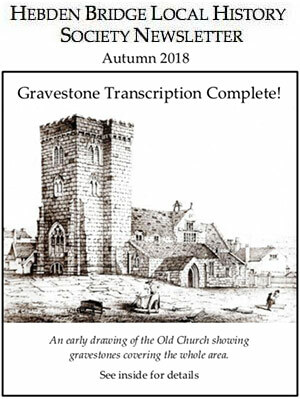 The audience could judge the challenge of the project from images of the pages the group had to decipher – crammed into three columns per page with explanations in Latin and occasional personal notes added by the clerk. Estimating population numbers from this raw data involved grappling with some complex and well tested mathematical formulas, but the resulting figures are reasonably reliable. Transposed into graph form they showed some remarkable peaks and troughs of rises and falls, compared with a much more steadily rising national picture. So the group set out to discover what events locally or nationally could have had such impact. Natural events, such as floods and droughts would clearly have an impact, as would epidemics such as plague and sweating sickness. Changes in technology and industry could also impel changes in population in different areas, and national events such as war would also be reflected in population changes. Further research allowed the group to speculate on correlations between events and sudden fluctuations in the graph. Calling out for investigation were the years of mortality crisis – a sudden doubling in the number of burials recorded in the registers. The causes of death were not always given, though plague and sweating fever are recorded, with plague victims ‘buried near their own dwellings’. A spike in burials in 1587, nearly six times more than normal, suggests something catastrophic. Adults were affected much more than children, suggesting that a disease like typhus was the cause. Typhus is also known as famine fever, and this year also saw a failed harvest because of two years of very wet weather. The majority of the population would have lived very precarious lives and it seems likely that a combination of starvation and typhus led to the sudden increase in deaths. The early years of the Civil War are also reflected in a sudden increase in burials in Halifax. 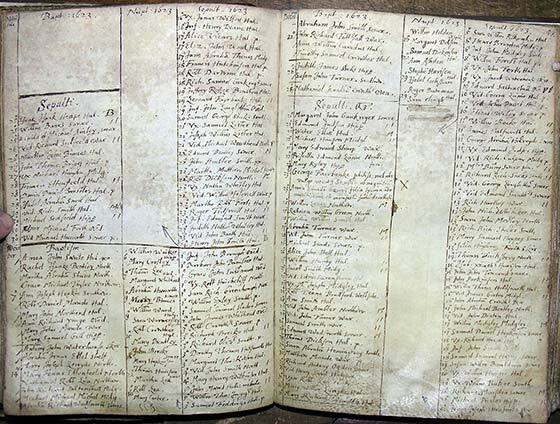 Some of those who died are recorded in the parish register as soldiers, including many from places outside the parish, including Scotland. The garrisoned soldiers were probably also responsible for bringing plague to the town of Halifax. The largest mortality crisis occurs in 1645 and overwhelmingly these are from the town of Halifax, where overcrowding and insanitary conditions allowed the plague to flourish. The detailed research work carried out by this group made for an impressive and fascinating talk – despite the darkness of the subject. The excitement of local history research is always that sense of reaching back into real lives through some dry and dusty documents. 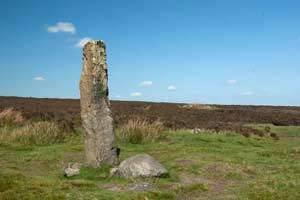 A fuller account is included in History in the South Pennines: the Legacy of Alan Petford, which is available on the Local History Society website. You can also find details of future talks on the website. On Wednesday 14th February, local folklorist John Billingsley will tell us how people incorporated protection against ‘the evil eye’ in local architecture. Hebden Bridge Methodist Church 7.30 – all welcome.